They are not often found and are very difficult to distinguish from stoat droppings. 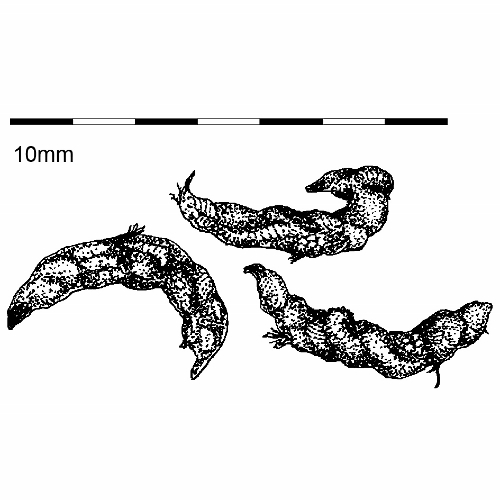 At 30–60 mm long, they are generally a bit smaller than stoat droppings but not reliably so. Like stoat droppings they also have a twisted tail and will be full of feathers, fur or other animal parts.